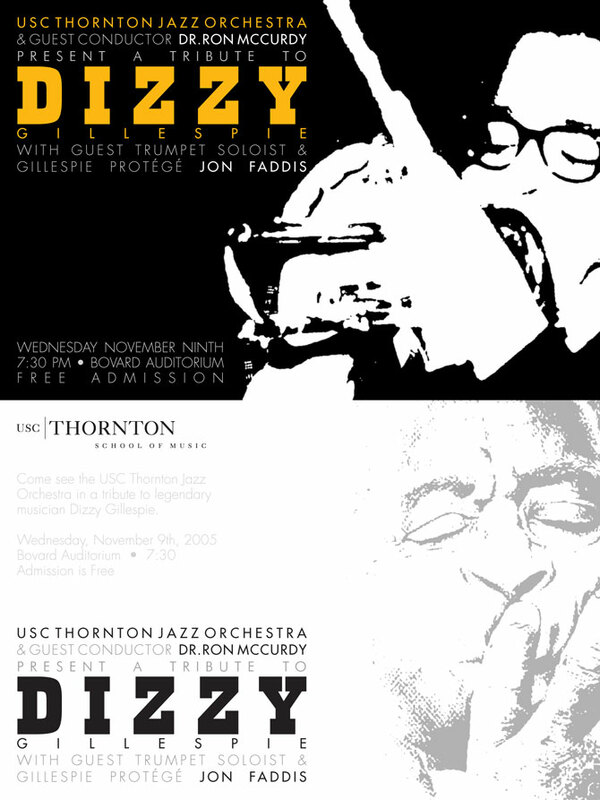 Dual sided postcard commissioned by the Thornton School of Music to advertise a special concert in tribute to Jazz legend John Birks ‘Dizzy’ Gillespie. 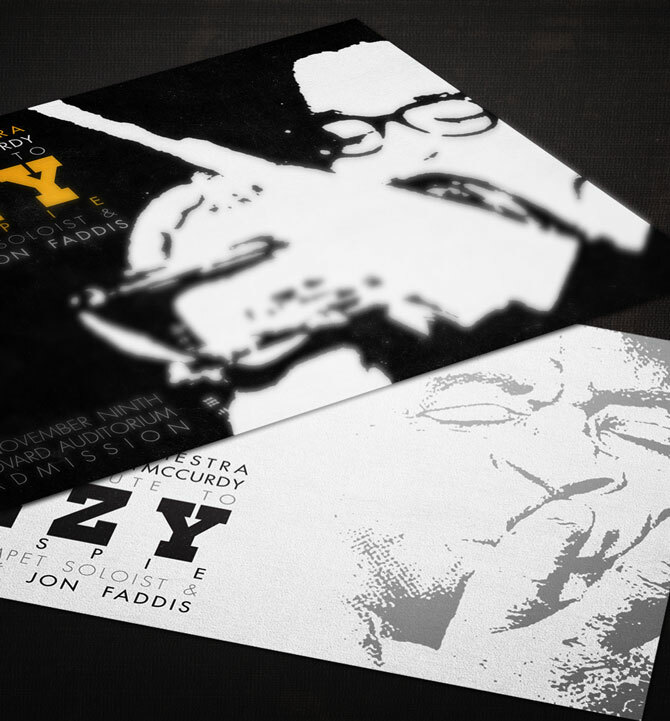 We wanted to keep the design simple and bold, utilizing clean typography and black and white images of the iconic musician. Due to the Thornton School’s extensive image archive, we were able to use high resolution scans of original photographs which were then converted to crisp halftone stencils. The result is a striking image that is both timeless and modern.